I hope that clears it up. I do not know why the koreans call it commercial films instead of just plain commercials or ads. Anyway, it’s Sunday, rest day, family day and so after having the usual Sunday lunch with my famiy, I decided to waste my time surfing the net for anything interesting. A friend then emailed a video and asked me to identify the three hottest men she saw in an ad, her words not mine. After watching the vid, I will have to agree that these men are hot but not the hottest on my list. Ha ha ha…I have my own faves This is actually a combination of three ads compressed into one. The first is with Gwyneth Paltrow. Watch and guess who these hot korean actors. When we speak of korean CF’s, will Jang Dong Gun be far away? The poster boy of Korea. I search the net and chose those I’d like from his numerous commercials. I love the first one the most. And you think, I will not be including YEH’s cf’s? Duh?! The first one with Jo Jin Mo. There are more CF’s I enjoy watching over and over again so I think I will have to make a part 2. Whew! That is a mouthful. I love surfing the net and discovering so many amazing stories, real or fic, short or long, extremely funny, downright sarcastic, outrageous, unbelievable, incredibly touching or terribly horrific. It is as if you are travelling the world and learning about different cultures by just clicking your mouse. Pretty awesome, right? This blog as you all know caters mainly for asian drama addicts but since I like writing about other things I decided to make another detour and just like my Detour Beyond Asia series I created a new page that will focused on the what, the where, the who, the why and the how of my everyday googling. So, instead of me emailing people individually of the things that grabbed my interest and attention, I will just compile them all here for you to enjoy, that is, if we do share the same interests. Everything here will be au courant…up to date…the latest. I was randomly googling for nothing in particular yesterday morning. I was quite nervous and excited for Yoon Eun Hye as she was nominated for Best Actress in a TV Drama for the 44th Baeksang Arts Awards and of course you all know by now that she won. Anyway, (I just want to say that again), here is a site where I had so much fun reading. Have you heard of Manolo, The Shoeblogger? No, he’s not The Manolo Blahnik, The Shoemaker as you will see on the right side of his blog. It’s quite obvious that he too loves shoes but their similarity ends there. 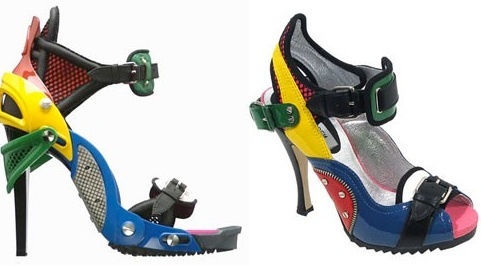 This blogger loves to make raunchy, outrageous, brutal observations of the famous and infamous in the world of shoes. Unbelievable, unimaginative, unethical, and ultimately shameless. Basically, he was attacking on a certain designer who copied a Balenciaga work of art. Look at this photo and see the similarities. Check out the whole article: The Manolo Shoe Blog. The funny thing is that I was not shocked by the similarities but more of the look of the shoes. Really? They make these kind of shoes. I am not an expert on shoes but then I dont think I will ever be caught wearing them. I guess I am not that adventurous. In 1719, Robinson Crusoe was published. In 1901, NY was the first state in America to mandate all car owners to get license plates. In 1945, Americans and Russians linked up then cut Germany into two. In 1992, the Islamic forces took over Afghanistan after the Soviets lost its control over the said country. In 1995, Ginger Rogers died. Want to serve great tasting wine but do not want to spend too much on it? There is this guy who gives out reviews on any wine that costs $20 or less. I am not a wine drinker but if I do social drinking I just prefer champagne but they are a little expensive so this blogger calls his site the cheapwineguy.com and tagged it as “unpretentious to a fault”. I really can’t contain my excitement and my happiness. This is a great day for all YEH fans out there. Our girl won!!! And the youngest in the history. YOON EUN HYE – BEST ACTRESS, TV DRAMA – 44TH BAEKSANG ARTS AWARDS, 2008. For her role as Go Eun Chan in the successful TV Drama, 1st Shop of the Coffee Prince. I do not do this often but I will do a YEHpicspamming today in tribute to the Beautiful, Talented, Charismatic And Inspirational, Ex-Baby V.O.X Member to Queen of Drama, Forever Our Young Girl Warrior! The humble and down to earth girl seemed so embarrassed to be announced as the winner…Go Girl! It was so unexpected that a girl so young and fairly new in the acting department having only three TV drama series to back her up bagged the much coveted award…but she did it! GO EUN CHAN, GO EUN CHAN, GO EUN CHAN!!! After watching Horikita Maki in Hana Kimi I tried looking for her previous work with english subtitles but I had a hard time finding a complete series subbed up to the final episode. Fortunately, my sis were able to get hold of this series she made back in 2006 called Teppan Shoujo Akane also known as Teppan Girl. I am still holding my judgment since I am still in Episode 2. Although, it involves cooking so I am quite partial to it already. Anyway, here’s the background info about it after googling it from the net. It has 9 episodes and was aired in October of 2006 up to December of the same year over at TBS in Japan. 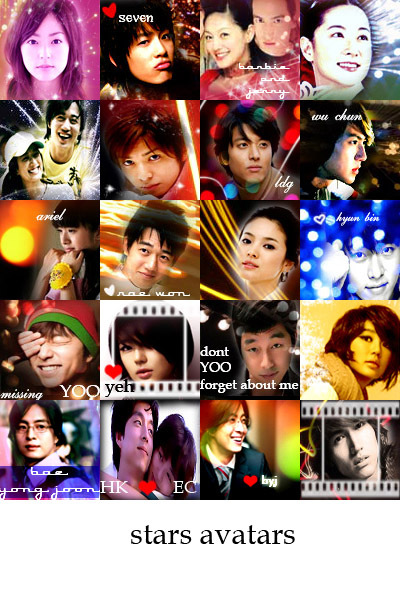 If you want avies, siggies and wallies of your favourite asian stars, just check this site: ASIANCELEBSHOPS, where the celebrities are photoshopped, meaning they make fanarts using Adobe Photoshop. Their downloadable links will soon be available. Those that they have posted on the site are free for everyone to use, just of course give them proper credit. If you want your very own original, unique artwork then drop them a note or two however a small donation is required. I dont think any explanation is needed why I chose him. 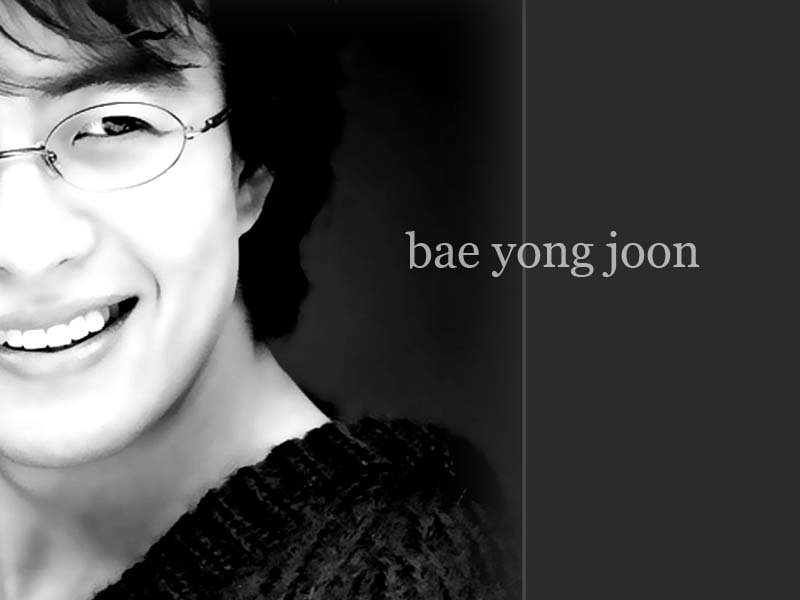 I just love this guy but I do confess that I was not a fan yet when Winter Sonata took Asia by storm. I now laugh at myself for thinking that he was just another bland actor a few years back. Now I cannot get enough of this guy. The way I see it, Koreans should really thank this guy for making Korea more interesting to other Asian countries. Now, I truly understand fully that whenever he is nominated may it by popular vote or otherwise he always emerges on top. The guy truly is a phenomenon. His chinese name is Jin Cheng Wu. His father is a Japanese and his mother is Chinese with Taiwanese nationality so he enjoys dual citizenship. He can speak 5 languages: Mandarin, Japanese, Taiwanese, Cantonese and English. I first saw him in a Jet Li movie, Dr. Wai and Scripture with No Words and recently in the WARLORDS, another Jet Li movie. He is forever being rumoured to be gay but it does not stop the girls to fantasize about him.